Fidel Castro has passed away. But his legacy for the love of sport continues. Cuba has the 65th largest GDP in the world today. It has the 78th largest population in the world at 11.2 million people. And yet, in the Americas, only America and Canada have garnered more total Olympic medals than the small island nation of Cuba. Incredibly, in the period from the 1976 Olympics in Montreal to the 2004 Olympics in Athens, Cuba finished in the top 11 medal count. At the Barcelona Olympics in 1992, only the United Team (the former Soviet bloc), the United States, Germany and China got more than Cuba’s 31 total medals. Clearly, this Caribbean nation has punched way above its weight class, and not just in boxing where Cuba is most famous. In 20 Olympic Games, Cuba has won 79 gold medals, 67 silver medals and 70 bronze medals in judo, athletics, wrestling and of course baseball. By comparison, India, which has a population over a hundred times larger, and the fifth largest GDP in the world, has competed in four more Olympics than Cuba, and yet has totaled only 28 medals. And according to articles after President Castro passed away on November 25, 2016, Castro had a hand in turning Cuba into a sports power – and it doesn’t appear to be via state-sponsored doping systems. According to this article, sports became a social phenomenon due to state-sponsored institutions. 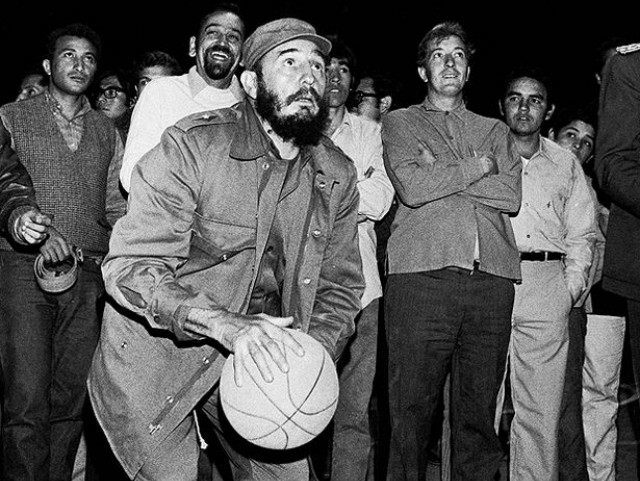 After Castro entered Havana on Jan. 1, 1959, the revolutionary government approved and implemented a nationwide plan to improve the nation’s sports practice, resulting in free and universal access to sports schools for every citizen. In 1961, Cuba created the National Institute of Sports, Physical Education and Recreation which was placed in charge of promoting sports for children, adults and even the elderly on the island. The state-run program was also charged with improving the quality of service in its sports facilities, manufacturing its own equipment and conducting research in sports science. But Cuba’s biggest sports cheerleader was, according to the New York Times, was el presidente himself. “I think Fidel Castro legitimately liked sports,” said David Wallechinsky, the president of the International Society of Olympic Historians. “One got the sense with East Germany, for example, that it really was a question of propaganda and that government officials didn’t have that obsession with sport itself that Fidel Castro did.” Whatever hardships they endured, Cubans could take pride in their sports stars. But of course, during Cuba’s hey day in the 1970s and 1980s, in the heat of the cold war, Castro could not help but use Cuba’s great sporting achievements as a tool in the battle for geo-political mindshare. Of course, as the Times points out, propaganda is often just propaganda, a smokescreen behind which you hide the uglier shades of truth. Yet it was primarily baseball, along with boxing and other Olympic sports, that came to symbolize both the strength and vulnerability of Cuban socialism. 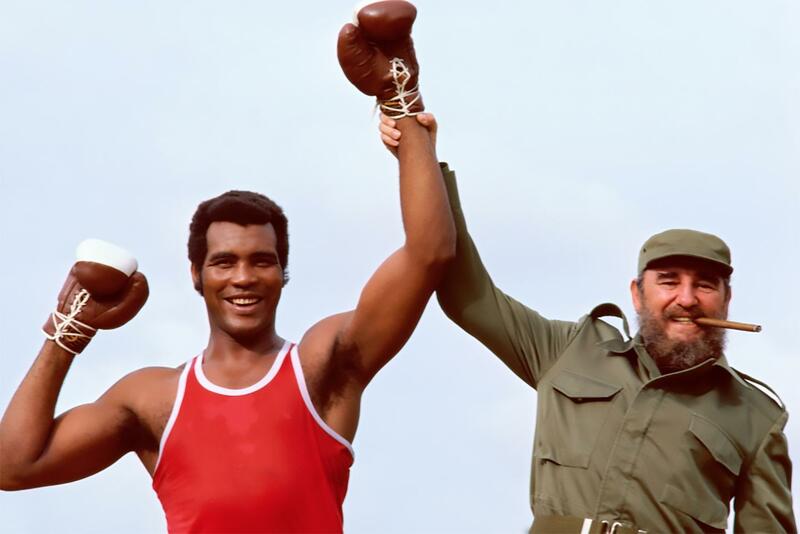 Successes in those sports allowed Mr. Castro to taunt and defy the United States on the diamond and in the ring and to infuse Cuban citizens with a sense of national pride. At the same time, international isolation and difficult financial realities led to the rampant defection of top baseball stars, the decrepit condition of stadiums and a shortage of equipment. So for every great sporting star who remained in Cuba, like three-time Olympic heavyweight champion,Teófilo Stevenson, or Javier Sotomayor, still the world record holder in the high jump, there have been many who defected, often to their neighbor to the north, the United States. What does the future bring? Will the recent thawing of relations initiated by presidents Raul Castro and Barack Obama continue to allow greater travel and expanded opportunities for cross-border business and cultural exchange? Or will President-elect Donald Trump reverse the thaw? Will that have any impact on sports in Cuba? Posted in Basketball, Boxing, Economics, Geo-politics, Judo, Other Olympics, Pop Culture, Track and FIeld, Wrestling and tagged Barack Obama, Cuba, David Wallechinsky, Fidel Castro, Javier Sotomayor, Raul Castro, Teófilo Stevenson. Bookmark the permalink.